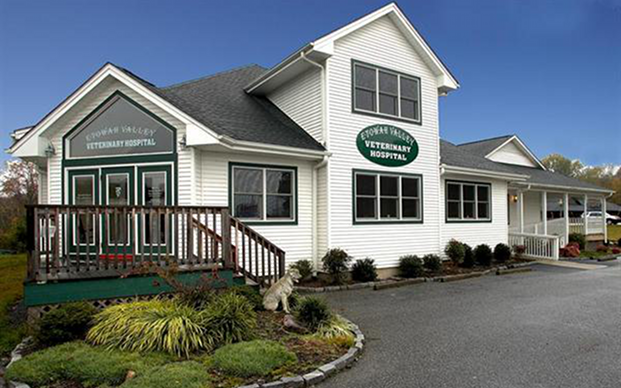 Etowah Valley Veterinary Hospital is a full-service veterinary medical facility, located in Etowah, NC. The professional and courteous staff at Etowah Valley Veterinary Hospital seek to provide the best possible medical care, surgical care and dental care for our highly-valued patients. We are committed to promoting responsible pet ownership, preventative health care and health-related educational opportunities for our clients. Etowah Valley Veterinary Hospital strives to offer excellence in veterinary care to Etowah, NC and surrounding areas. Please take a moment to contact us today, to learn more about our veterinary practice and to find out more information about how Etowah Valley Veterinary Hospital can serve the needs of you and your cherished pet. Our mission at Etowah Valley Veterinary Hospital is to provide high quality veterinary care for your pets so that they can live longer, happier, and healthier lives. Here at Etowah Valley Veterinary Hospital we provide our clients with access to leading edge services and products and authoritative educational content focusing on enhancing the human animal bond. Etowah Valley Veterinary Hospital is located in the growing community of Etowah which is conveniently located west of Hendersonville, NC. We are just a short drive from Hendersonville, Mills River, Brevard, Fletcher and Arden. He's not spoiled, I'm just well trained! Smokey the Hot Dog dog on halloween! Cavalier King Charles Spaniels... What a pair!! Valley is one of many left homeless here outside our hospital. She has turned out to be one of the loves of my life. Adopting a homeless animal is a true Blessing!